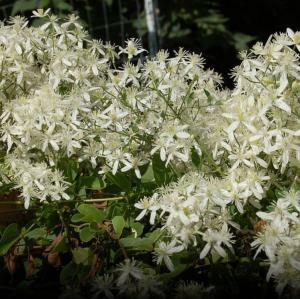 Clematis terniflora is our favourite climber for sheer abundance of frothy bloom, when it is in full bloom starting at the end of August, the air is filled with its honeyed scent. Abuzz with little bees and adorned with butterflies the autumn clematis is thrilling to observe. Watch the late summer butterflies, and listen to the hum of bees as they work the flowers. 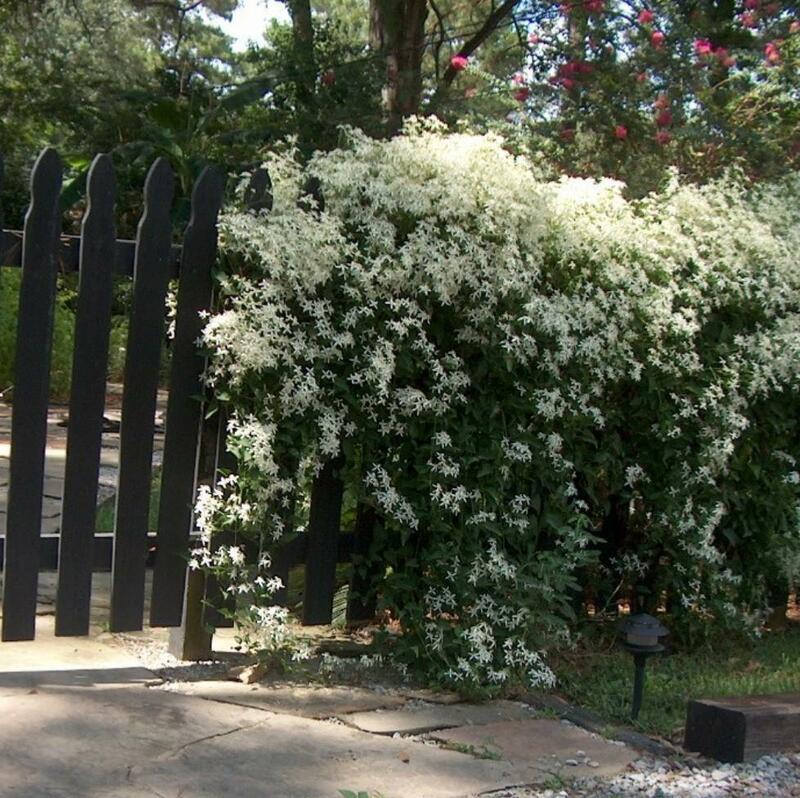 This must be the most drought tolerant of all the Clematis. 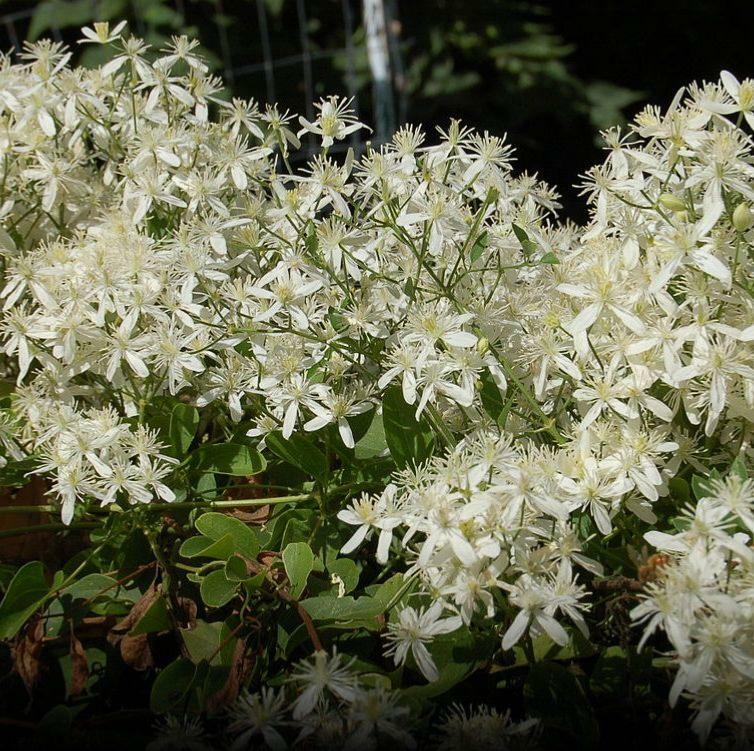 Grow it on atrellis cut back to 60cm during winter, it then covers an area as much as 2metres in height and 4 metres in width which during early autumn it is then completely smothered by the sweetly scented white flowers. 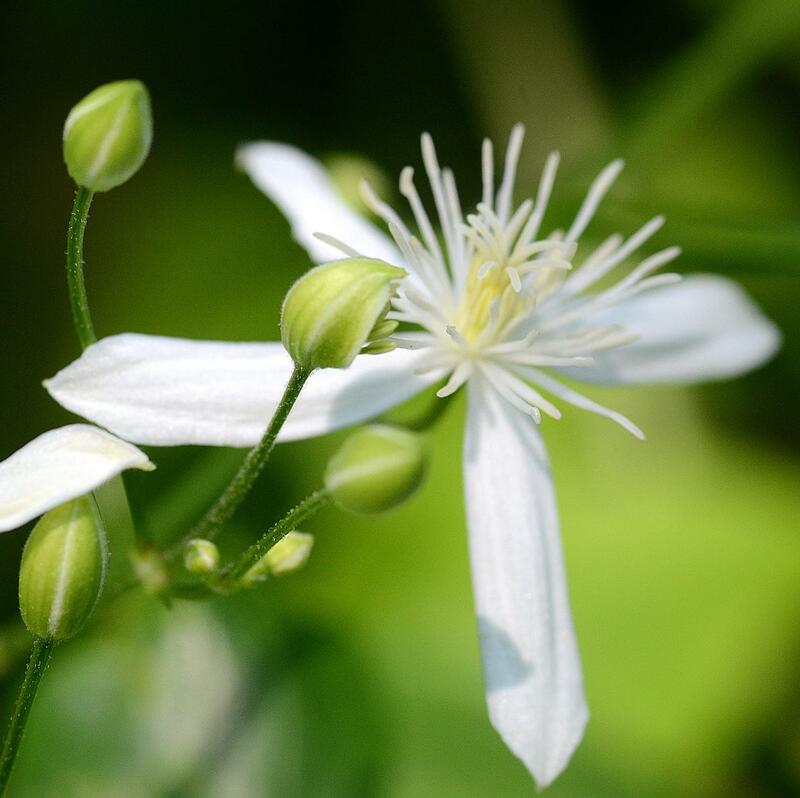 The autumn clematis is one of those plants that botanists have had a fieldday changing Clematis paniculata, Clematis terniflora, Clematis maximowicziana …all have had their turn in the nomenclature of this clematis. A sweet thing, whatever you want to call it.